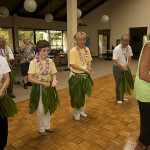 Ka `Imi members always enjoy their interactions with the Kaua`i branch of Friendship Force international. 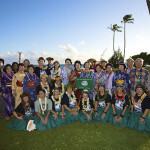 Since the Kaua`i club opened in 1984, Ka `Imi has helped its work to promote world peace by hosting Friendship Force Ambassadors from such diverse locales as Taiwan, New Zealand, Brazil, Germany, Japan, England, and Australia, as well as by performing for the Kaua`i club’s banquets and other functions. 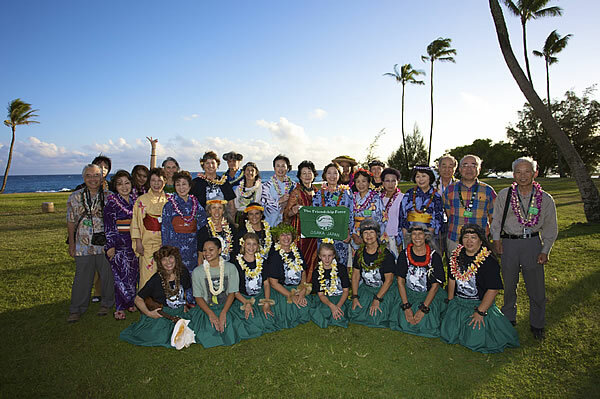 Most recently, our members taught Hawaiian culture to a group of Ambassadors from Osaka and Kyoto. 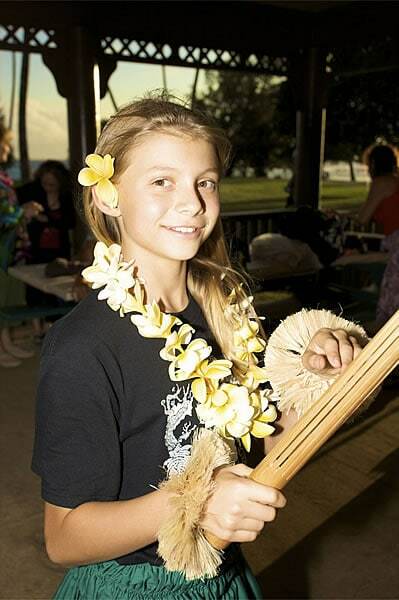 *Anyone wanting to learn more about Friendship Force International’s program to create world peace one friendship at a time can check out the website: http://www.thefriendshipforce.org. 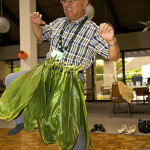 Osaka Friendship Force club President, Mr. Morimoto kicks up his heel learning the Molok`i Ku`i. 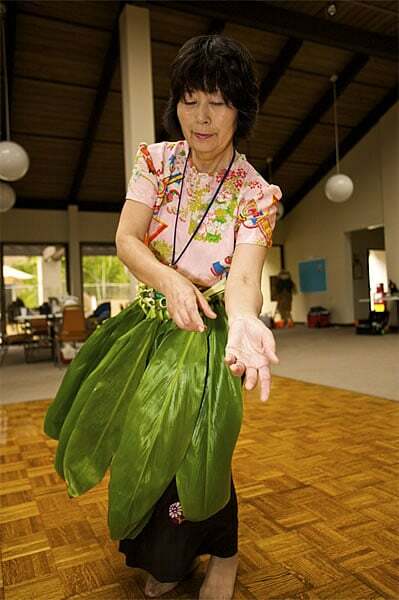 Demonstrating good huki kalo technique. 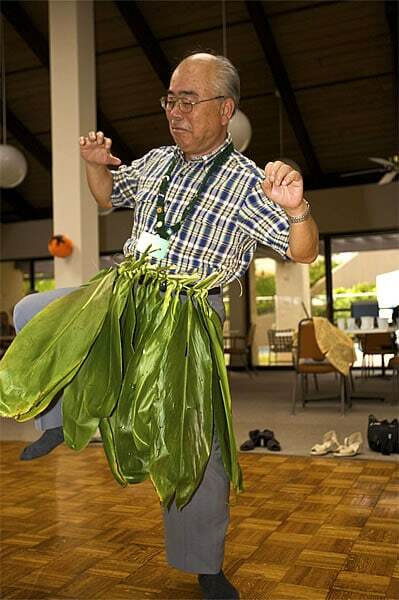 Haloa watches the Ambassadors dance in his honor. 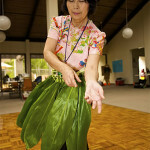 Ambassadors enjoying the hula class at “Hawaiian Culture Day”. 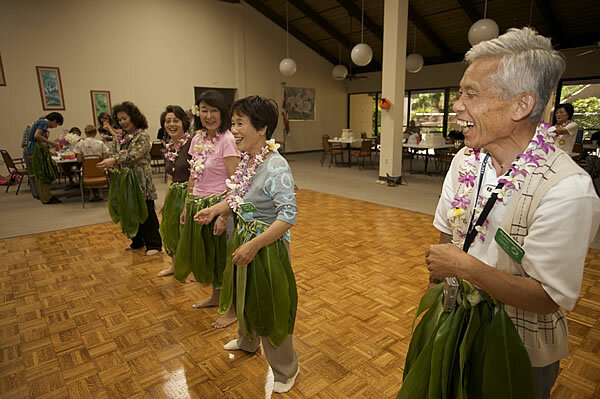 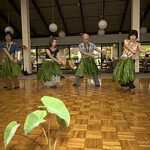 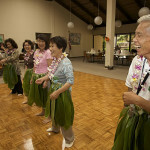 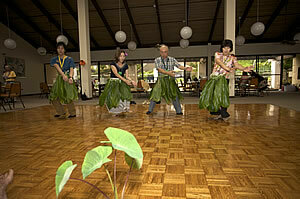 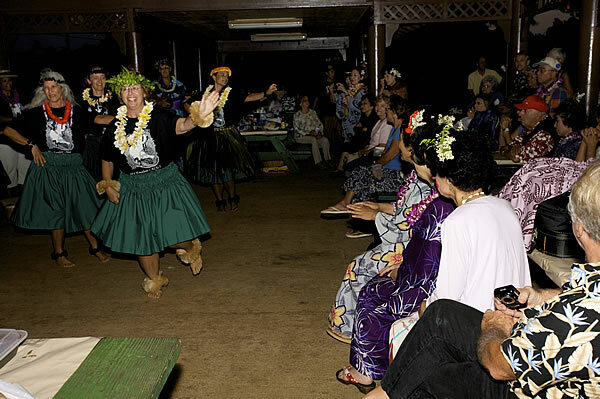 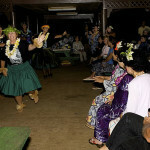 In a partial reprise of the Emalani program, Ka`Imi members danced “Maile Swing”. 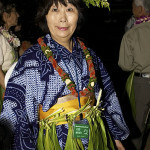 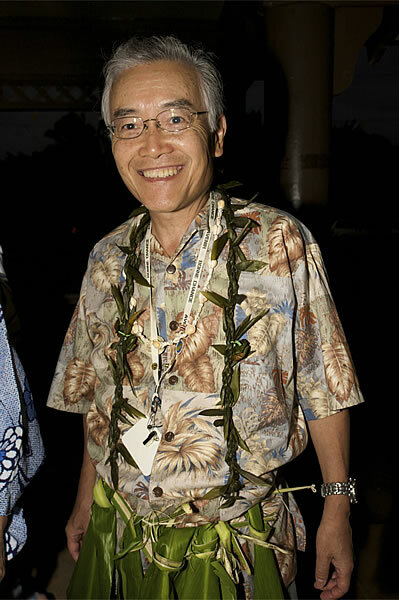 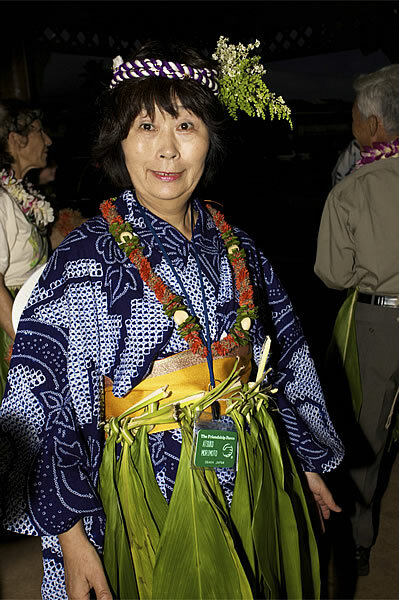 This has got to be a first – a pa`u la`i and kimono ensemble. 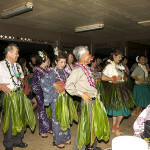 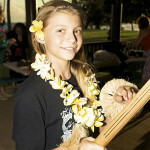 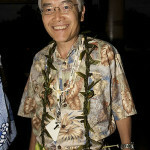 Ambassadors proudly wore the pa`u la`i they made at “Hawaiian Culture Day” for their performance at the farewell dinner. 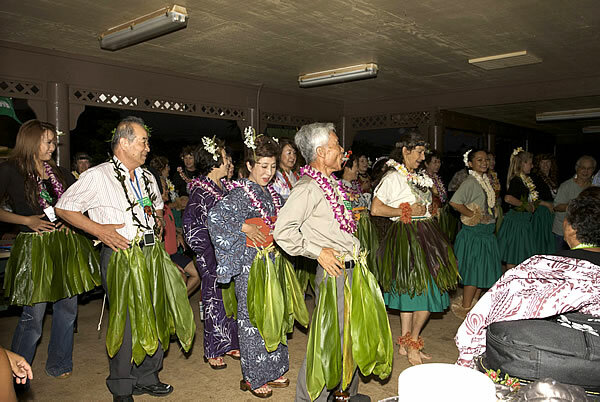 Grand Finale: Ka`Imi members and Osaka Ambassadors danced “Huki i ke Kalo” together. 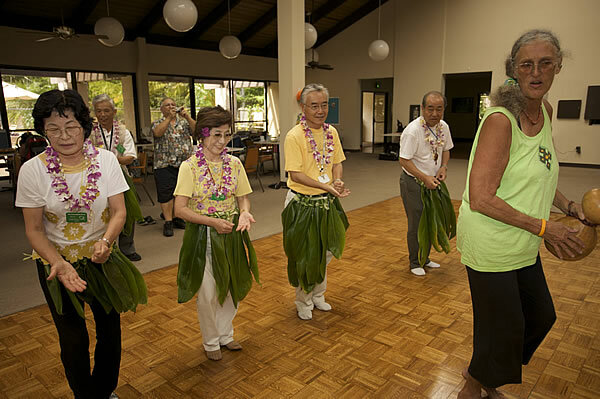 The Ambassadors enjoyed themselves so much that they even insisted on doing their own Hana Hou!